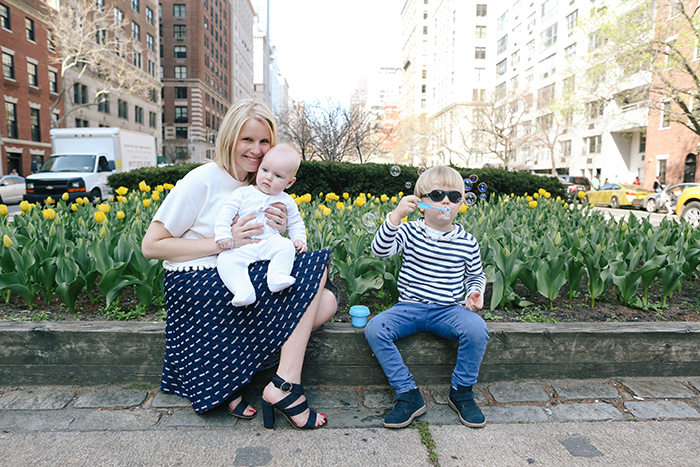 For this edition of Moms with Style, I’m so happy to introduce you to the co-founder of Babiators sunglasses, Molly Fienning. 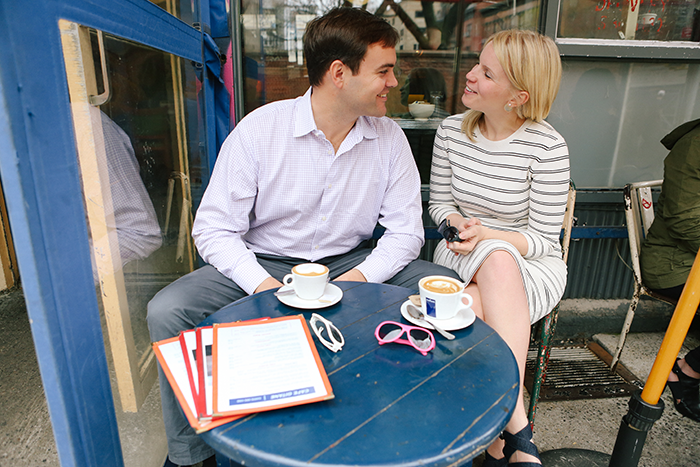 We love Babiators around this house and I loved getting to “meet” Molly through this little interview. Plus, read all the way through for a special reader promo! Babiators sunglasses are one of my favorite products for my kids (my oldest son has been wearing them since he was a baby!) and I’ve always thought that the idea behind them is absolutely genius! Can you tell us a little bit about what inspired you to start the company? My husband Ted was an active duty Marine Corps F-18 pilot for ten years. As a military wife who moved often yet still wanted to work, entrepreneurship was the perfect fit for me. Marine Corps actually families inspired the idea behind Babiators. The military issues aviator sunglasses to protect their pilots’ eyes from the sun. My partners and I thought, why not make aviators for babies, or “Babiators”, to protect their kids’ eyes too? We surveyed a few hundred new mothers and determined there was a legitimate need in the market for safe, durable and stylish sunglasses for babies and kids. After 30 days of sales, we recouped our initial equity in the business. 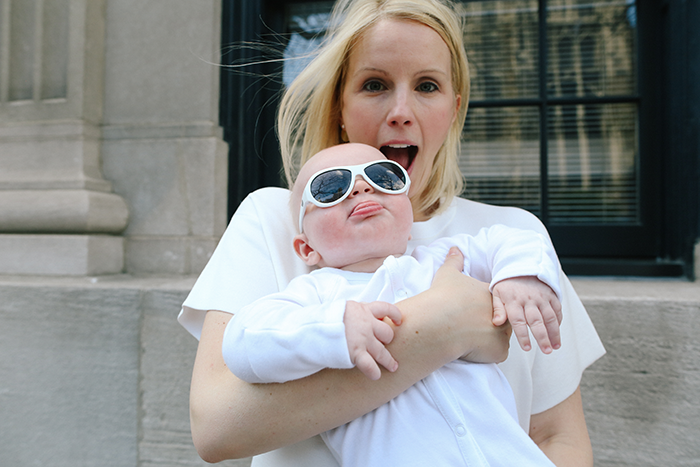 This past February (almost five years in), we sold our 1 millionth pair of Babiators. I’ve realized that life’s WAY too short not to have fun with fashion and feel happy in your clothes. My personal style is probably a little more playful than before kids (perhaps a hint of a midriff from a cool crop top? ), yet still feminine and figure-flattering. And while I’ve never had an elaborate beauty routine (other than cleansing and moisturizing in the evenings), I do love having my eyes done by a makeup artist for special occasions. Treat yourself. Every day, I make sure to get quality time with my husband and boys no matter what (and hopefully a little time with good girlfriends too). With Babiators, I feel balanced when I stay focused on what I’m doing in the present moment. I cannot think about everything outstanding or about completing to do lists, because I would get distracted and less productive. The key question for me each day: What is the single most important (not necessarily urgent) thing to do next? And then work until I complete that task sufficiently. 80% rule, by the way — no need for perfection. I would be sleeping all morning (can you tell I have a 6-month old?) followed by brunch with my husband and boys somewhere delicious. An afternoon trip to the spa solo for massage and yoga and reading by a fireplace with tea. Then drinks and oysters with girlfriends at my favorite restaurant, The Ordinary in Charleston, SC. Maybe a late night dance party? Perfection. Of course, the love you feel for your child is unsurpassed. In addition, learning how much you’re capable of as a mother is incredibly powerful. Both motherhood and entrepreneurship test your inner strength — doing both has shown me how strong I can be when needed. 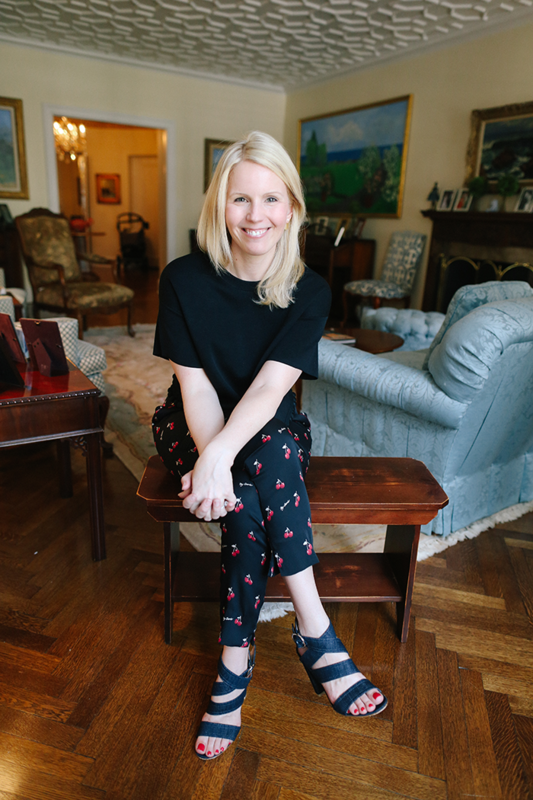 Thanks so much to Molly for participating in the Moms with Style series! I’m also thrilled that she has offered an exclusive promotion to the HSS feed readers. From now through May 15, get 25% off site wide at Babiators.com with the code HSS25.